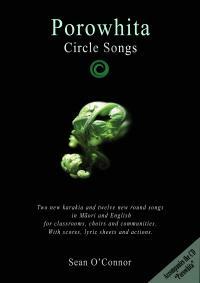 A well presented book and beautiful CD of fourteen original round or “circle” songs in Maori and English using whakatauki, karakia, tauparapara and other phrases. Two beautiful karakia encircle the collection. Round singing strengthens listening and social skills, while teaching te reo with interweaving rhythms and captivating harmonies. The songs are great listening or unison singing for any age. Teach rounds and harmonies according to children’s ability. The 32-page book includes scores, teaching tips, actions and photocopiable lyric sheets. Great choral or classroom resource.